The way we work is changing. The rise of freelancing and the gig economy means flexibility and independence, but it also means living with less security. Or does it? While you can’t future-proof your job, you can future-proof your career. Our guest this week Michelle Gibbings shows us how. In this episode, we examine how leaders get fit for the future of work, prepare for the inevitable tides of change, and develop the confidence to take decisive action in our working lives. When people ask Michelle what she does, how does she like to reply? 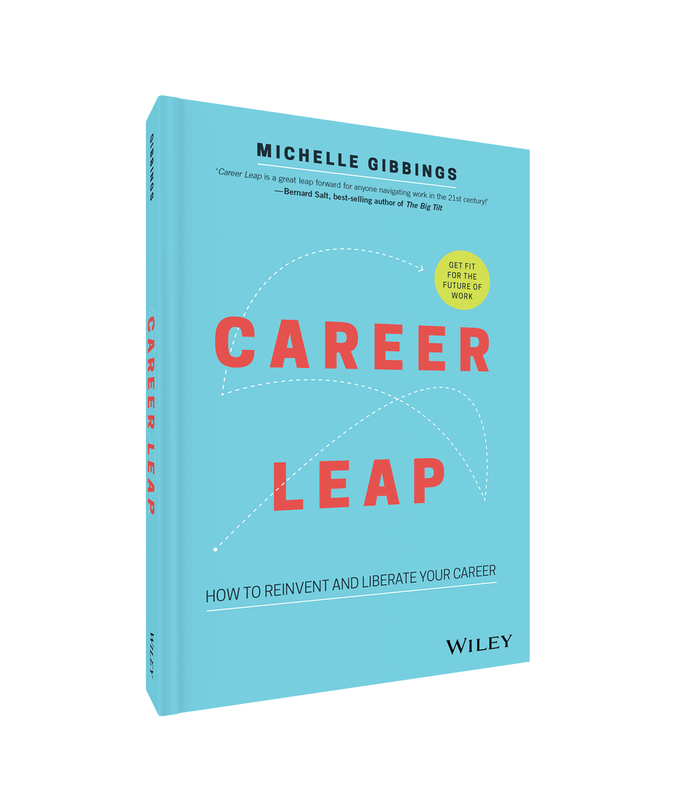 The subtitle of Career Leap is “how to reinvent and liberate your career.” What does it mean to liberate your career? What decisions should we make to future-proof our career? Do many people consider their own why or purpose in their career? How does the future of work look? The future with AI, VR, AR, 3D, when CSIRO say half the jobs today are at risk of automation. Do the next generations still think in terms of a career? Creating a portfolio of work that excites you. What’s the gig economy and how’s it going to impact the current workplace? What are the core technology competencies that will be most in demand by 2022? Michelle knows how to ask a question. Is there a key to questioning? What impact did Michelle’s childhood environment have on her thirst for learning? What are old career parameters and what are they being replaced with?